Seventeen-year-old Norah has incapacitating OCD and agoraphobia: she hasn't been outside of her home, except to see her therapist, in nearly four years. After a cute boy named Luke moves in next door and takes an interest in her, Norah manages to fight her urges to hide away, slowly befriending him and showing him who she really is, phobias and all. Norah's unease permeates the pages ("Musings, meanderings, conversations that haven't even happened run in one continuous loop around my head"), leaving readers with a deep understanding of the limitations of her conditions. 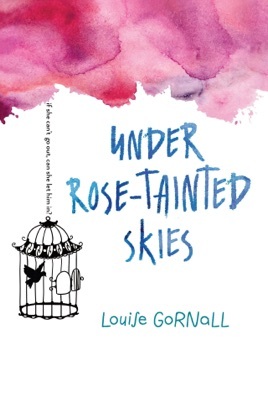 While Luke's almost-too-good-to-be-true patience and persistence help spur Norah to push herself in new ways, Gornall doesn't minimize the role of therapy in the progress she makes nor the difficult work that still lies ahead for the teenager. Through Norah's poetic internal monologue, Gornall, whose own experience with mental illness helped inform Norah's story, provides an intimate glimpse into the mind of a young woman battling some very real demons. Ages 12 up.